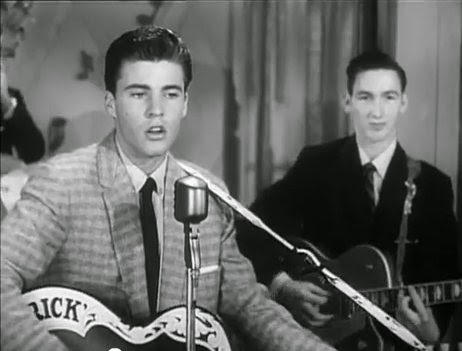 Rick Nelson was more than a Teen Idol. He started out as “Ricky” Nelson, part of the very popular all-American Adventures of Ozzie and Harriet Nelson family TV show in the 50’ and 60’s, where he would end the show singing his latest hit, with his eyes closed, as the girls swooned. And only Elvis and Pat Boone were to have more hits from 1957-’62. He spent most the rest of his career though trying to get past the public image and be taken seriously as a musician. But like Elvis, he also had the ability to pick the best songwriters and musicians to record. Nelson was influenced by Carl Perkins and rockabilly. His first big hit, “Poor Little Fool”, in 1958 was written by Eddie Cochran’s 17 year-old girlfriend. In fact, he gave the first big breaks to many composers when he had big hits with their songs: “Lonesome Town” and “Never Be Anyone But You” (Baker Knight); “Traveling Man” and 23 others songs for Nelson (Jerry Fuller); “It’s Late” ( rockabilly duo, Dorsey and Johnny Burnette, who before had had a hit with “Sweet Sixteen”, but camped out at his doorstep until he recorded their songs), and Gene Pitney’s ” Hello Mary-Lou”. Jerry Fuller is especially interesting because he would go on to write many hits and even produce several other groups. He had originally been part of The Champs (“Tequila”), when their members included Glen Campbell, and Jimmy Seals and Dash Crofts (later Seals and Crofts with the “Diamond Girl” and “Summer Breeze” hits in the 70’s). 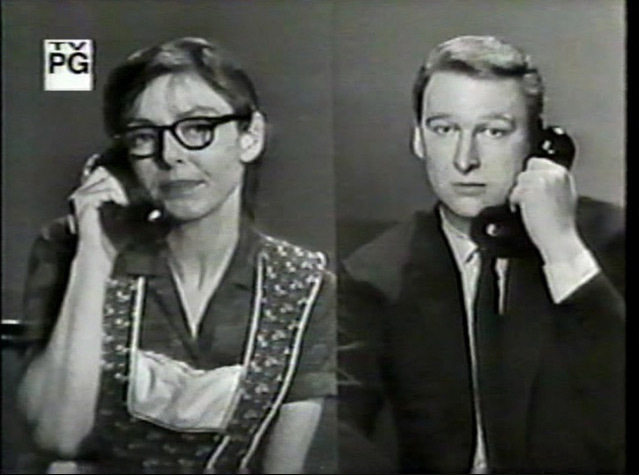 Fuller produced The Knickerbockers and their hit “Lies”. He also discovered Gary Puckett and The Union Gap and wrote and produced their big hits, “Young Girl”, “Lady Willpower” and “ Over You” and “ Little Green Apples” for O.C. Smith. And Nelson always had the best musicians in his bands, such as guitarist, James Burton, who was 18 when Nelson met him and he lived with the Nelsons for two years. Of course, Burton would go on to become a legendary guitarist and play Elvis’ Vegas years and with every big name from Emmylou Harris to Elvis Costello. Burton played the guitar solo on Dale Hawkin’s ’57 classic ,” Susie Q”, and on Buffalo Springfield’s 2nd album and became part of Emmylou Harris’ Hot Band with Rodney Crowell after Gram Parsons died. He then toured with John Denver and played with Elvis Costello from the King of America album on. And was in Roy Orbison and Friends: Black and White Night TV special in ’88. Basically James Burton played with anybody who was anybody and is considered one of the best guitarists. Nelson also used Presley’s vocal group,The Jordanaires, on his recordings (but Presley didn’t want anybody to know). But It was Nelson who first recognized the above talents and gave them their first chances, which led to them all having many more song writing hits and involvement with several well-known musicians. Also Nelson was one of the first California musicians to move toward country-rock before Linda Ronstadt and The Eagles, some of whose later members were in his Stone Canyon Band. 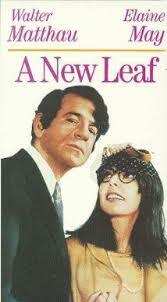 He had a hit with a re-make of Dylan’s “She Belongs to Me” in 1970. “Ricky” Nelson with legendary guitarist, James Burton, whom he first discovered and played in his band. hit in 1972, reaching #6 on the Billboard charts. Rick Nelson and his band came to Ottawa in the early 80’s playing a little out of the way bar, and I didn’t make it; something for which I’ve kicked myself ever since. The “Travelin’ Man”, was still on the road in 1985, when his plane crashed in Texas, killing him and his fiancé. Some at the time said it might have been a fire caused by free–basing cocaine, but the plane had a history of mechanical problems and it was later ruled it was because of a faulty heater. But Rick Nelson had some great songs and helped some great songwriters and musicians get exposure and he was more than a teen idol. 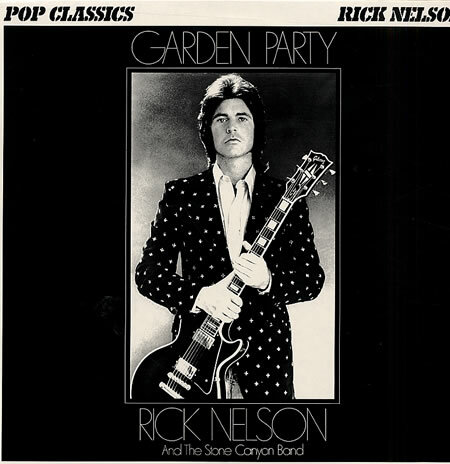 Rick Nelson’s “GARDEN PARTY”, 1972 LP and hit where he summed it all up having to always be stuck playing his old teen hits, while trying to move ahead as a musician. This entry was posted in Uncategorized and tagged 1950's, Garden Party, Hello Mary- Lou, It's Late., James Burton, Lonesome Town, Never Be Anyone Else But You Travelin' Man, Ozzie and Harriet, pop music, RICK Nelson, Ricky Nelson, Rock on September 19, 2014 by Alan L. Chrisman.